Therapeutic Summer Program – Registration is Open! Registration is on a weekly basis. Email services@chinaelg.com to register or for more information. As the summer vacation draws near, there’s one thing parents have on the back of their mind: How do we keep the kids entertained over the vacation? 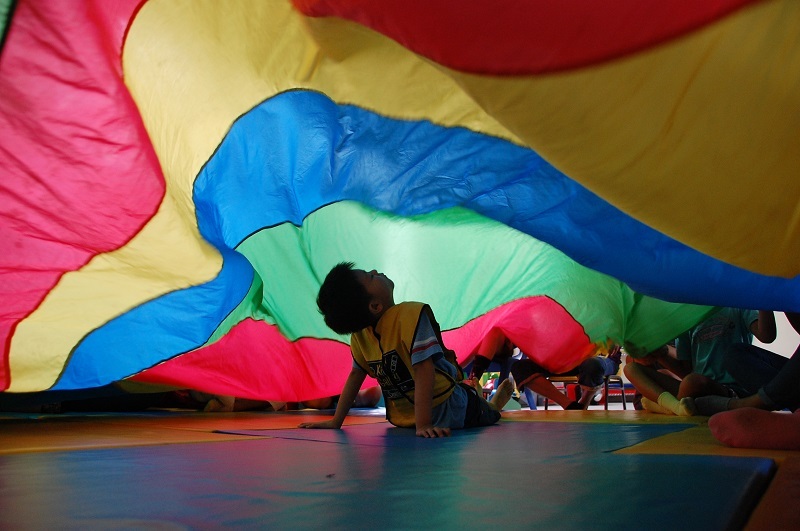 Well, look no further than ELG’s fun-filled, active and inclusive summer program! With different themed weeks, children have the chance to go on exciting field trips, get messy with arts and crafts projects, cook up a storm in the kitchen, try out science experiments, and make some noise during our musical activities. One highlight each summer is the weekly Water Fun Day, which has the children playing water games, making a splash and creating unforgettable memories. 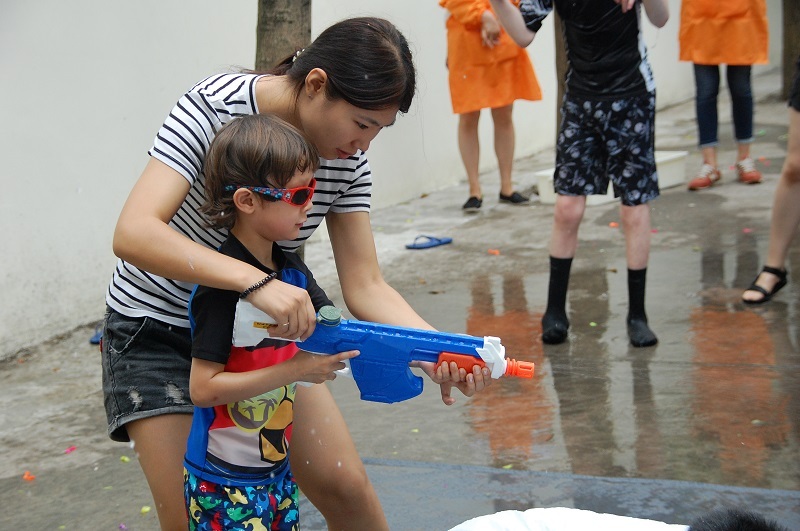 What better way to cool off in the Shanghai summer than with a water fight and making ice cream? 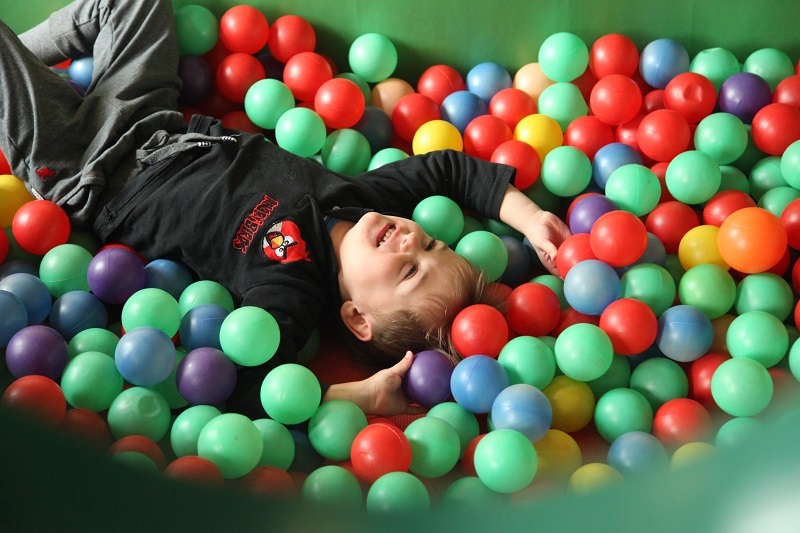 Behind all the fun and games, however, ELG’s experienced specialists have integrated research-backed therapeutic practices into each activity, specially designed to enhance different areas, from social skills and self-regulation to gross-/fine-motor skills and sensory integration.  With an adult to child ratio of 1:3, and a unique approach to grouping students based on skill set and not age range, this program focuses on active engagement. 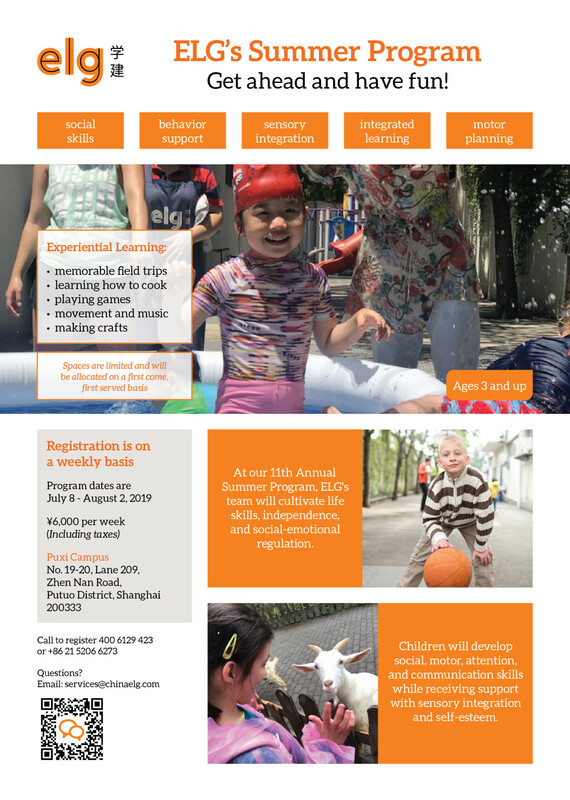 Join us and sign up for ELG’s Summer Program, and let your children have the best summer ever! We can’t wait for you to join us!